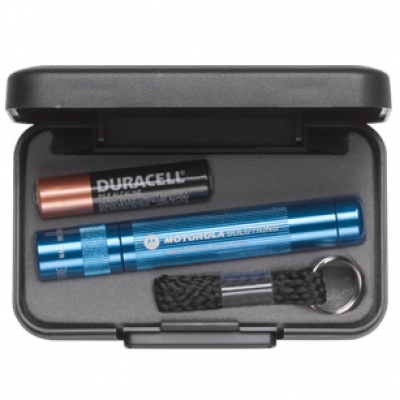 The AAA Solitaire Mag-Lite® LED is the brightest flashlight in a small package with only one AAA battery. AAA Solitaire MagLite® LED Flashlight. 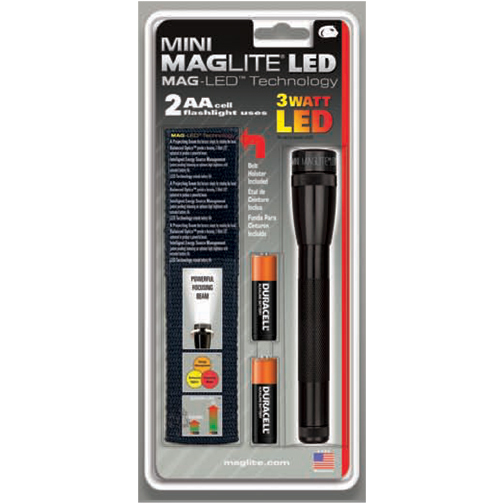 Mag-Lite® now answers your dreams of making a "familiar little buddy" even brighter. The original AAA version was introduced in 1988. This new member of the family is the same size and shape. Same simple operation, just twist the head to turn it on and off, and adjust the focus of the beam from spot to flood. This new intensity is so amazing that it can light up an object at the far end of a parking lot. Comes with an attached key ring lanyard. Made in USA.